With millions of followers and countless brands clamoring to get their endorsements, they have the ability to make a significant difference in the marketplace. Influencer marketing has emerged as a more scientific way to capitalize on the influencer phenomenon. And, it has indeed become quite an effective way for brands to expand their client base to new audiences in a more engaging, authentic way. 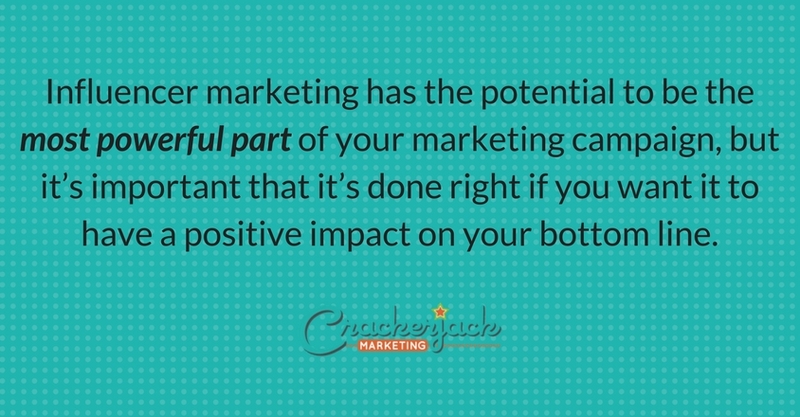 This is why it is now an integral part of many well-designed marketing campaigns. So why isn’t everyone doing it? And why are so many people doing it wrong? The answer isn’t necessarily simple, yet it’s not complex either. We’ve found that there are few reasons why your efforts may not be paying off. For starters, influencer marketing is regulated by the FCC, and they aren’t playing around. If you want to avoid huge fines and major scandal (yes, major: please don’t be Lord & Taylor), you need to become intimate with the rules that apply to your brand as well as those that apply to your influencers. Influencer marketing could be considered media or public relations, but it is vastly different from the earned media you might be used to working with. Attempting to treat it similarly means you’re destined for failure. Most successful, prominent influencers are also savvy business people. And, as you know, savvy business people don’t usually do their business for free. You need to come into the partnership with something to offer –and a chance to win product or be featured on your social channels is generally not what we’re talking about. That’s not to say you can only get this done with a massive monetary budget at your disposal; it’s just to say that, like anything else, you get what you pay for. How you pay is only limited by your creativity and ability to build relationships with the people in the space you want your brand to be a part of. Influencers are people –each one unique, each one with their own special voice and platform where they use it. 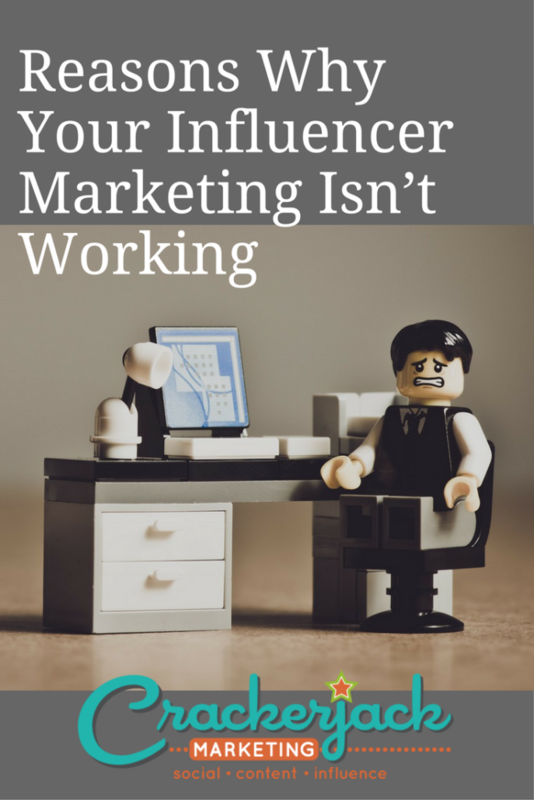 You can’t go into a campaign with a template and expect your influencers to cookie cutter create it across the board. And, really, why would you want to? The beauty of the influencer is that they are authentic. That with their personal story and personal brand, they can reach their audience in a way you can’t. These are sacred parts of the influencer-audience relationship and, when you try to control those, your campaign falls flat. Take some time to read blogs, find ones that touch you as a human, outside of your role as a marketer, and then figure out how to get your message to that person so they can put the feels on it for their readers. Just like influencers need to choose brands they have a connection to, it’s important that brands choose influencers who are a good fit for their brand. I recently received an email, from someone who “loves my blog,” offering me an opportunity to review their “mom and me dresses” with my daughter. I have three sons. No girl. My blog is about raising boys. Not a good fit for their brand. You want to work with influencers who can bring your brand’s story to life and you find those influencers by truly getting to know them, their sites, and their topic. Influencers rely a lot on relationships –relationships with their audience, relationships with the brands they work with, relationships with the other people who play roles in the stories they bring to life online. A large part of an influencer’s ability to be successful has to do with their ability to build engaging connections among people. You want influencers to want your brand to be a part of their story, and to do that you need to build a relationship with your influencers. Get to know their process, learn about their inspiration, and then you can help them find a creative way to bring your story to life, alongside theirs. Influencer marketing has the potential to be the most powerful part of your marketing campaign, but it’s important that it’s done right if you want it to have a positive impact on your bottom line. Take time to cultivate relationships, engage with your influencers as people, and align your goals properly to ensure you, your influencers, and their audience have a positive experience. 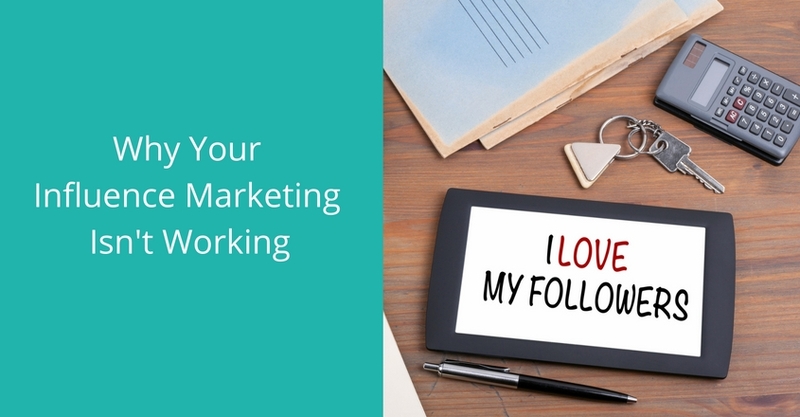 Are you struggling with your influencer marketing strategy? We’d love to help!